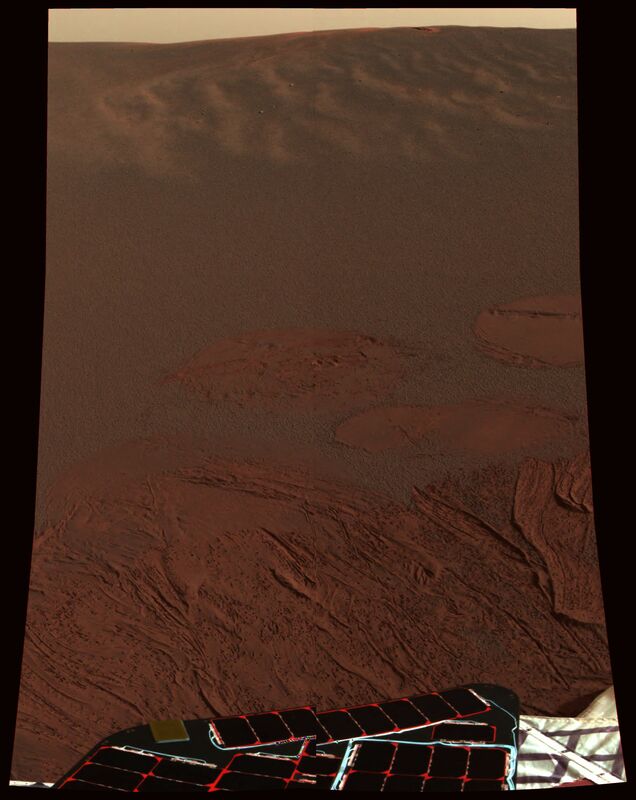 Explanation: After an interplanetary journey of nearly 300 million miles, Opportunity bounced down on the martian surface at about 9:05 pm PST Saturday, its final plunge cushioned by airbags. Now the second NASA rover on Mars, Opportunity's landing site at Meridiani Planum is on the opposite side of the red planet from its twin rover Spirit. Described as unlike any ever seen on Mars, the dark, undulating terrain at Meridiani Planum (aka Terra Meridiani) is pictured above in the first stunning color view from Opportunity. This area is thought to be rich in gray hematite, an iron-bearing mineral which can form in watery environments. 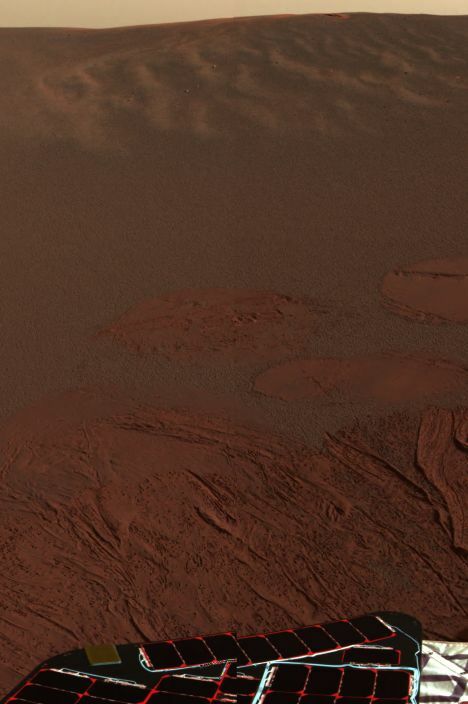 Part of the rover's deck is in the foreground while circular impressions and drag marks made by the airbags are visible just beyond it.